This love heart mug filled with your mum's favourite brew will make her smile on the morning of your wedding. It is a thoughtful gift to say thank you for her support throughout the planning stages and on your wedding day. 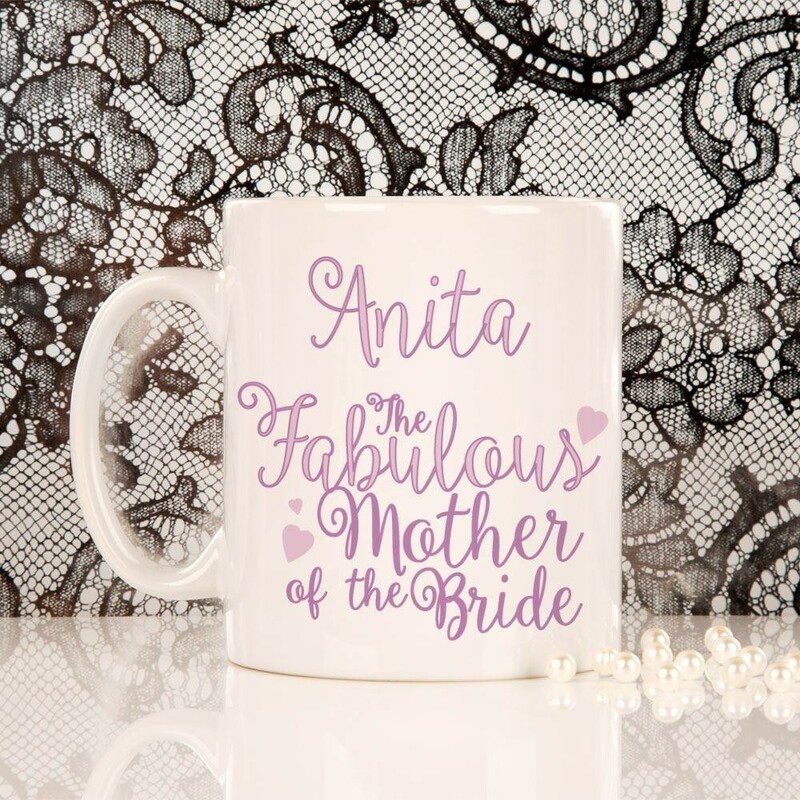 The front of the mug features 'The Fabulous Mother of the Bride' text along with her name. We can also add your own special message to your mum on the back. It is a lovely memento for your mum to remember her special daughter's wedding day. After the big day has passed she can use it in the home or in the work place to store her hot drinks inside. 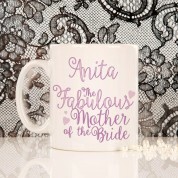 We also have a 'Fabulous Mother of the Groom' mug which would be perfect to give to your groom's mum. 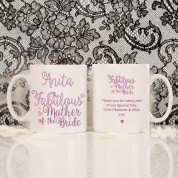 There is also other mug designs suitable for both him and her (including 'Awesome Usher' and 'Beautiful Bride').